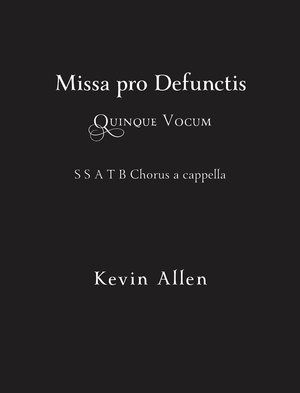 Of timely interest to those currently preparing for their All Souls Day Requiem Masses, one of my favorite modern composers, Kevin Allen, has recently released his own setting of the Requiem Mass, including both the propers and the ordinary. I’d like to encourage you to check it out if you are looking for a lovely Requiem for SSATB. All the information, including a purchase link and preview, is there. I have always enjoyed Allen’s music, and I am always happy to hear it. I can attest, as someone who has also sung his music, they are beautiful, yet modern pieces of music that are most certainly suitable for the sacred liturgy.